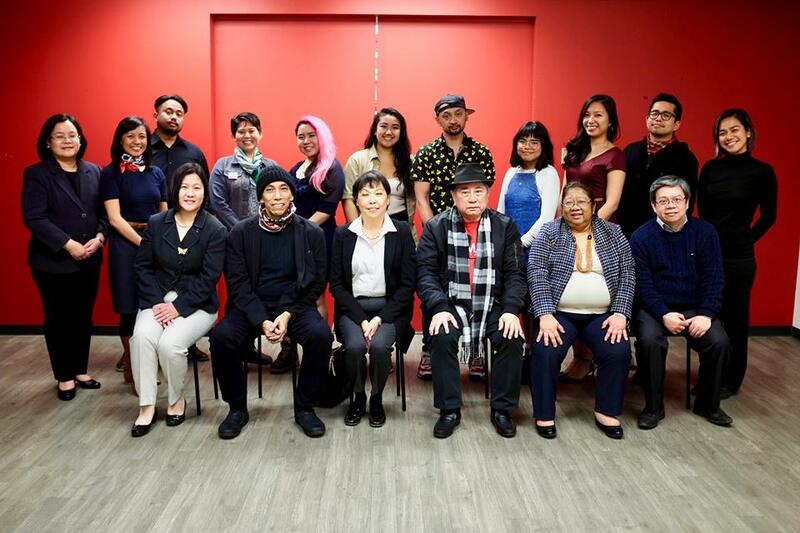 Among other writers finding their voice in the Filipino diaspora, I thought - being invited to converse and exchange ideas with a National Artist for Literature would not have been something I'd just be able to do on a Friday night, if I were still in the Philippines! This need to record our “intangible heritage” was a theme Almario went back to several times throughout the evening. As defined by UNESCO, intangible heritage includes “traditions or living expressions inherited from our ancestors and passed on to our descendants, such as oral traditions, performing arts, social practices, rituals, festive events, knowledge and practices concerning nature and the universe or the knowledge and skills to produce traditional crafts”. He quoted Rizal on looking to our past to understand where we come from. And though it resonated with people in the room, I couldn’t help thinking - if we struggle to document our intangible heritage today, how would future generations and people interested in learning about those aspects of Filipino culture find it? Back home, we have still a wealth of information that needs to be recorded, Almario confirmed. He talked about the oral epics of several indigenous communities who live in mountainous regions, whose stories he’s been pushing to document before the remaining practitioners of those oral epics pass away. In many of these communities, younger generations have lost complete interest in continuing these traditions, as modern life with Facebook and instant messaging wipe away the last bits of relevance these stories may have for them, directly. I couldn’t help but think of what those oral epics contain about the food traditions of people who lived in the Philippines, hundreds of years ago. What would it take to record those food histories? Among young writers and activists who saw the power of language to communicate their ideas and beliefs, Almario began his career as a writer in the 1970s. He published books of poetry and literary criticism and became a well-known translator for some of the world’s best contemporary poets - not an easy feat to achieve, given the nature of poetry itself. He talked about the importance of mentorship and how writers needed to band together, “para may kasama ka (to have someone by your side)”. It was his driving force, he recalled, to founding an organization called LIRA - over three decades ago - to create a space and community for visual and literary artists who had few others to turn to. Today, LIRA is the oldest organization of Filipino poets and one of the country’s premier literary groups. At the NCCA, Almario told us of their work to preserve and revive forms of pre-colonial literature: like the tanaga, where rhyme, meter and metaphor are measured through someone’s skill in “creating a puzzle that demands some kind of an answer,” and the dalit, “a ritual usually sung to the rhythm of dance,” whose closest resemblance, for modern audiences, is the Japanese haiku. I have never heard of these art forms. There’s clearly a lot for me to learn about in the realm of Philippine literature! I’d like to take a minute to fangirl about “that time Joey Ayala serenaded me in Cebuano” - because yes, he did, after I asked how many Philippine dialects he performed in. Just before I asked him that, he sang a song about life in America, about someone’s day to day struggle to make ends meet, and how his relatives back home think you’re basically set for life once you get yourself out of the country that many people choose to leave. But, in reality, “those bacon and eggs every day get tiring,” he sang, and as you’ll find many people uprooted from their homes agree too - encapsulating everything you miss about the land you’re from is hard to fit into one song. It’s crazy how quickly songs from long ago come rushing back. I distinctly remember having to sing Ayala’s “Karaniwang Tao” for our school’s buwan ng wika program (basically the equivalent of Filipino heritage month) from grades three to six. As soon as I pulled up the YouTube video and heard those opening chords, every lyric came naturally! Thanks to Jennilee Austria (whom you should also look up) for these photos. It was an incredibly inspiring evening!